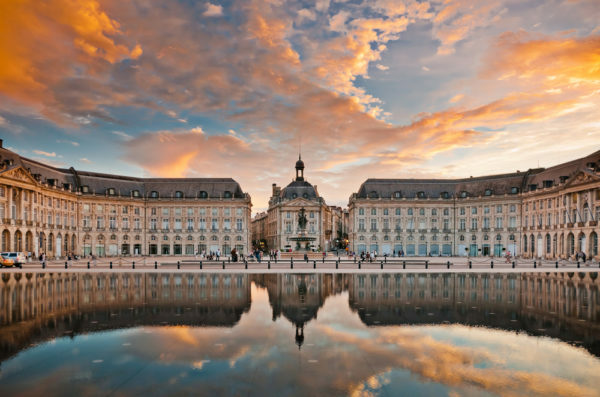 This carefully designed tour begins in Bordeaux, a perfect destination to be introduced with the subtleties behind the art of food & wine pairing. 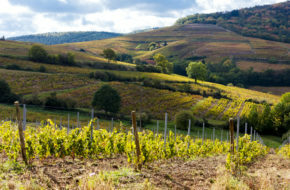 This gourmet tour will includes Grand Crus wineries, private tastings and delicious meals for you to savor and enjoy. In Northern Spain you will reach the foodie town of San Sebastian that is internationally acclaimed for its sophisticated culinary pleasures and where no less than 13 Michelin starred-restaurants are present. Here, a hands-on cooking experience, a unique Pintxos bar crawl and a tour in the Rioja wine region are just some of the local experiences that we have included. Upon arrival you will be met at the Bordeaux airport or train station for transfer to your centrally located hotel. Enjoy a welcome dinner in Bordeaux with your guide at a local restaurant. This is the perfect time to review your itinerary with your guide and get all your questions anwsered. After dinner, return to your hotel. This morning breakfast is at your hotel. 9:00 am pick up at your hotel. This morning, depart for a gourmet tour of Bordeaux. First, visit one of the oldest and most famous cheese shops in Bordeaux, visiting their cheese caves located in the stone-vaulted cellars of a 15th century convent! Here we will find a treasure trove of cheeses being gently aged to their optimal maturity, with the aging process being explained by one of their expert staff. We will also enjoy a tasting of three cheeses all the while enjoying the atmosphere of the ancient underground caves. Then we will visit a world-renowned Bordelaise company known for their resurrection of the canelé. We will learn about the history of this traditional dessert and how its creation in Bordeaux is related to wine! We will enjoy a relaxing moment sampling this and other interesting desserts, as well as a hot beverage. The tour will end with the pleasure of a wine tasting. A small boutique wine bar will welcome us and here we will taste three Bordeaux wines each with its own unique style, selected for us and introduced by their wine expert. After the tasting, enjoy some time in Bordeaux for personal discovery and lunch. In the afternoon, discover Cabernet Sauvignon as we will take you to the famous Margaux wine producing area. Our first stop will be at Chateau Siran. Here, you will follow the “Wine Lover” tour to discover the old wine cellar, today an exhibition area for a superb family collection of over 300 wine-related objects. Then visit the “Bacchus Bunker” and discover the Chateau’s wine collection that spans from 1912 to 2012. Your visit will end with a comparative tasting of 3 different wines. Our second stop will be in 1855 Grand Cru Classé Chateau Kirwan. Here, you will be invited to take advantage of an elegant, romantic and luxurious setting to learn about wine-tasting. The Chateau is surrounded by a superb park and the wafting scents of flowering rosebushes evoke other aromas: those of the wine to come. For our small group we have organized a private tour followed by a tasting in the winery’s VIP lounge. Your tasting will include 3 different vintages of Château Kirwan and one vintage of the Charmes de Kirwan (the second label of the Chateau) so that you may have the experience to compare what a similar wine can taste like depending on its age. 6.30pm Return to Bordeaux and night at your hotel. 9:00am pick up at your hotel. Visit Saint Emilion village and the underground monuments. Today the wine region is your main destination. The Saint Emilion wine are is where Merlot is the predominant grape variety. Begin the tour with the visit of the village and underground monuments that include the unique monlithic church. The tour covers several centuries of history and legend from the time of the monk Saint Emilion to the carving out of the amazing monolithic church. During your visit, admire the medieval paintings in the Trinity Chapel and learn the secrets of the catacombs. Finally, the underground monolithic church will be yours to discover and it will probably be the most fascinating moment of your visit. After the visit we will take you to the Cordeliers Cloister. Visit and tasting in the “Cloitre des Cordeliers” and their sparkling wines. In 1383, the Franciscans were given some land by Richard II of England located within the ramparts of Saint Emilion. Here, they built a church with its cloiser, a winery and vat room, a cellar, a garden and a dormitory. Today only the cloister remains, a perfect example of Romanesque architecture of southern France. The site also possesses a large network of tunnels and old quarries that run beneath the steets of Saint Emilion and the vines of some of the nearby chateaux. Since 1892, the Cordeliers have been creating superior quality sparkling wines using the traditional Method and that are called Crémant de Bordeaux. The wines are aged between 12 to 24 months over the lees in the cellars below the cloister, where no daylight penetrates and where the temperature remains constant at 12 degrees celcius. These conditions are ideal for fermenting and maturing the wine, and the bottles are turned daily to encourage a long, slow development until the wines are ready for disgorging. After a visit of the underground cellars, participate in a wine tasting session of both white and rose sparkling wines that will have you discover a broad palette of flavors and aromas. The premium wine of the estate, the Grand Vintage Dry White, boasts a nose of fine, fresh fruit accented with hints of almond. Finely balanced, it reveals a remarkable aromatic explosion followed by a long, fresh and fruity finish. Lunch in a gourment restaurant of the village that is one of the oldest restaurants here. Founded in 1848 and located on a small square in the very center of the medieval town, it has become a true institution revered by passing visitors as well as regular locals. In this relaxing atmosphere the gourmet menu offers many tasty traditional dishes with a new slant. your lunch is comprised of a food & wine pairing menu that will enhance your dining experience during which flavors and textures will be contrasted or complimented. After lunch, you will have some free time for personal discovery to enjoy the beauty of the village. 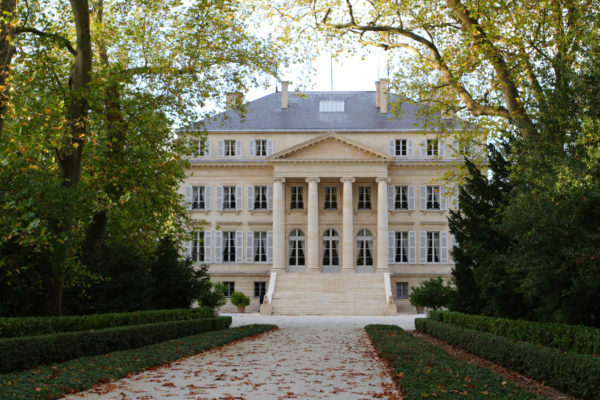 Visit and wine tasting in a classified Growth Chateau with Merlot wines. Chateau La Dominque, a Grand Cru Classé of the Saint Emilion appellation. According to legend, the name “La Dominique” came from a rich merchant owner of the estate during the 17th centur who named the property in memory of the island located in the Caribbean. Today, the estate is owned by Clement Fayat, who bought the Chateau in 1969 and who decided to completely transform the winery in 2012. In 2014, the brand new cellar destigned by famous French architect Jean Nouvel opened to the public. The wine cellar is dressed with six shades of mirrored red stainless steel blades. With this unique covering, Jean Nouvel plays with our perception of the color of the wine: the reflection, intensity, shades or deepness. First discover the winery during a private tour that will take your through all the technical installations, the vat room, the ageing cellar and the terrace that overlooks the vineyards with a stunning view of Chateau Cheval Blanc. or the Pomerol appellation located just in front. Then, your tour continues with a tasting of 3 wines accompanied by finger food perepared by the chef of “La Terrase Rouge” restaurant and the aperfectly match the wines tasted. Breakfast at your hotel and check out. 9.00am Pick up at your hotel. 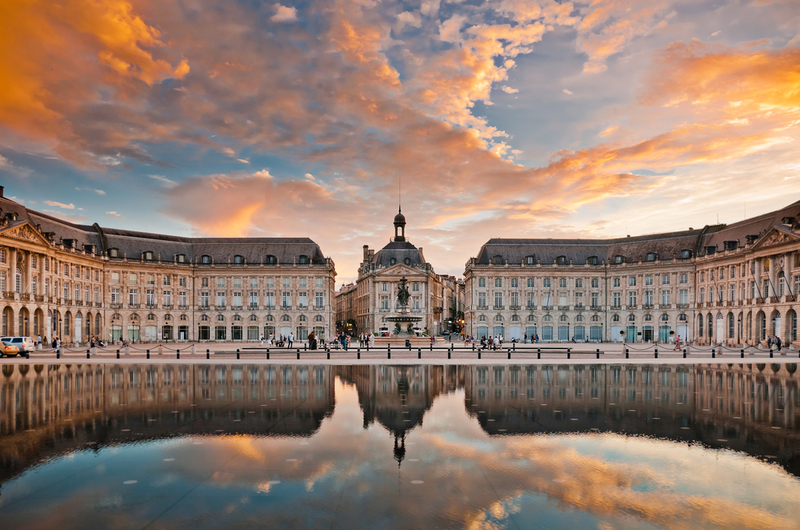 Your destination this morning is the town of Bayonne located south of Bordeaux, capital city of the French Basque region. Our interest here lies in the local produce that made the town so famous: Ham & Chocolate. Our first stop in the morning is dedicated to the famous ‘Jambon de Bayonne’. 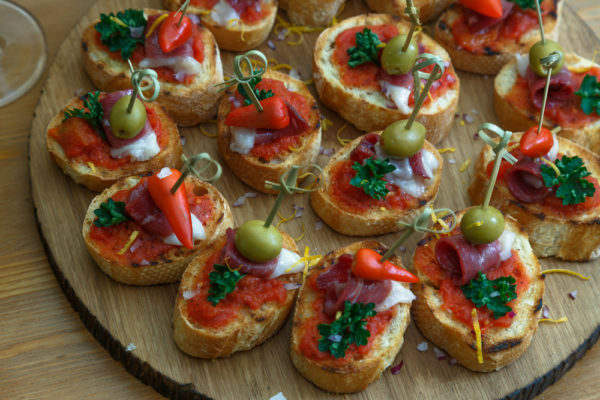 The local ham is a cured ham that is seasoned with peppers grown in the nearby village of Espelette. During a tour of the processing area you will learn about the salting tub and ham drying-room where the attractive colors of the hams and the mouthwatering smells hint at the quality of the products. The tour will be followed by a tasting to sample some of the most popular local produce. After the tour, enjoy some time in town for personal discovery and lunch. After lunch meet your guide and head towards the chocolate workshop. Bayonne owes its chocolate history to the Spanish and Portuguese Jews who had fled Spain and the Inquisition in the late 16th century and found refuge in this important commercial hub located not too far away from the border of Spain. In Bayonne, the first chocolate factories were established and the local residents quickly learned the art of chocolate making. By the 19th century, the town had become the French ‘Chocolate’ capital in quantity and quality with over 31 chocolate factories located in the town alone. This afternoon, your tour will include the visit of a local chocolate factory where you will be introduced to the origins of chocolate making in France while discovering some of the oldest machinery used to prepare the much sought after beans. Then witness the preparation of the chocolate as you wander through the ‘lab’ where the melted delicacy comes alive. Finally, end the tour with a tasting, a great opportunity for you to taste chocolates from Haiti, Madagascar or the Extra Kiretsa made up of 97% of cocoa. After the tasting, en route for Northern Spain and the city of San Sebastian. 5.00pm Arrive in San Sebastian, check in at your hotel. 6.00pm This evening a unique Pintxos bar crawl in the heart of the old town of San Sebastian. Not only will this walking tour allow you to discover the heart of the historical city, but you will also be introduced to a culinary feast as you go from bar to bar experiencing the local culture with food ranging from molecular and modern to comforting and traditional, there is something for everyone. 7.30pm End of the Pintxos tour. 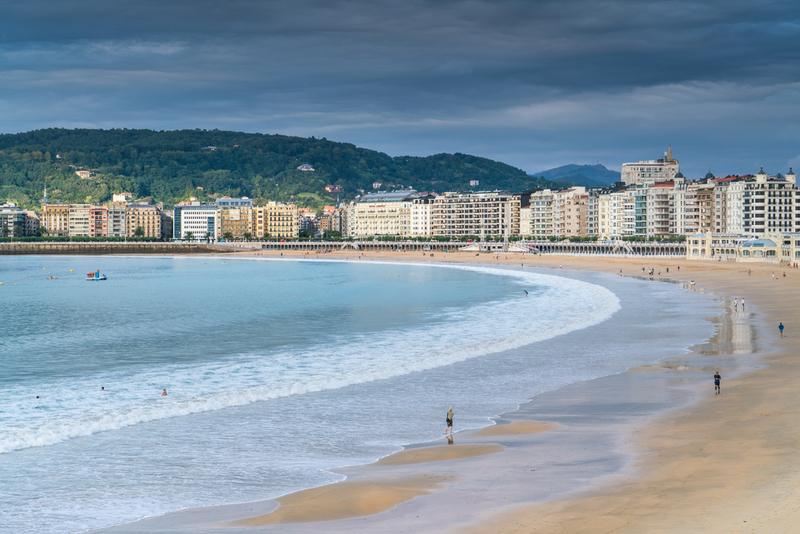 In the evening, return to your hotel and night in San Sebastian. 10:00 am pick up at your hotel. This morning, depart wit hayour guide to experience a unique hands-on Basque cooking class. The sea and the mountains surrounding the Basque capitals of Bilbao and San Sebastian are rif with ancient traditions and the freshest of ingredients. In this culinary journey, you will learn to prepare the famous Basque dishes from both the coastal fishing villages and the mountainous interior of the provinces of the Gipuzkoa and Bizkaia. Bring the history and traditions of Basque Country to life in this hands-on cooking class. Your class ends with a delicious lunch and carefully chosen wine pairings. You will gather around a rustic wooden table to enjoy what you have cooked using your newly acquired knowledge. After, lunch the rest of the afternoon is free for you to have some time for personal discovery. 3:30 pm End of the cooking class and lunch, free time in San Sebastian. 8:30 am Pick up at your hotel. Wine tour & tasting in the Rioja wine region. Located in northeast Spain along the Ebro River. 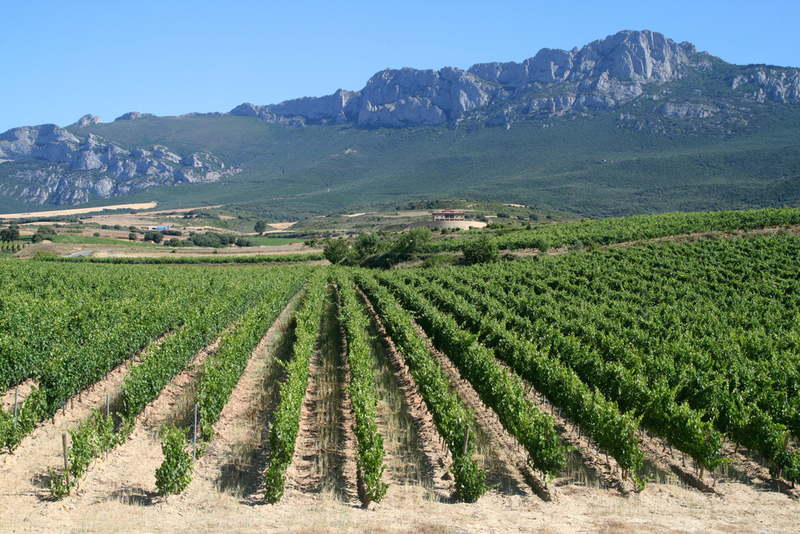 Rioja boasts centuries of winemaking history. It entered the modern commercial era in the 19th century, and offers an elite mix of Iberian history, stunning scenery, proprietary cuisine, brilliant wines and a unique meshing of old and new. 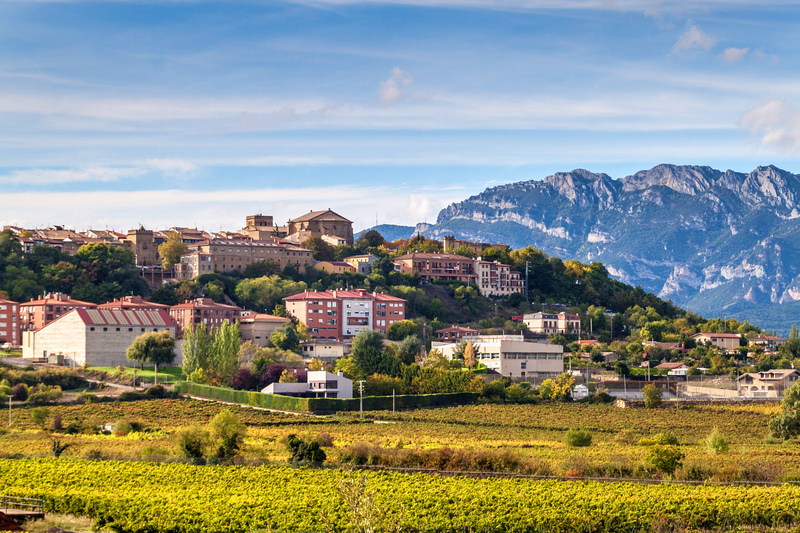 Welcome to Spain’s greatest wine region. Known primarily for its red wines most bodegas have their owne distinct red-wine formula that is typically a Tempranillo and Garnacha blend. Upon arrival, visit the Bodegas Mugu one of the most traditional wineries of the Rioja. The Muga wine cellars were founded in 1932 by Isaac Muga Martinez who originated from a family with strong ties to the winemaking industry. The winery controls every step of the viticultural and vinification process from the vineyards to making their own barrels and fermenting and aging the wine entirely in oak. Duing your visit, discover the imposing wooden tanks, the calmness of the aging rooms, the heat and smell in the cooperage and take part in a unique experience. The tour will end with the tasting of 2 wines. After the tour, depart for another winery visit. Arrive in the Rio Alaveja area to discover the Bodegas Baigorri. Teh wienry was designed and built by the architect Inaki Aspiazu, who tailored the building to the unique way the wines are made and a reference of architecture in the area which blends with its surroundings. After the visit of the very modern techinical installation, you will have the opportunity to taste 2 wines of the estate. After the tour, en route for the village of Laguardia. Laguardia is set atop a hill in the middle of a valley. The walled town of Laguardia is surrounded by vineyards and offers a glimpse into the regions’s wine making past. Here, enjoy free time for lunch and personal discovery as you walk through the meieval narrow streets and stop at one of the multiple bars to try some local wine accompanied by a racion or a pintxo. After lunch and visit we begin our return to San Sebastian. 7:30 pm Farwell Dinner at 3 * Michelin restaurant Martin Berasategui. Tonight is the ultimate experience. Finish your food & wine gourmet tour in one of the most prized restaurants of the area. The restaurant boasts an elegant entrance and a superbly appointed, glass-fronted dining room with two fireplaces and relaxing views. Culinary expertise, talent and creativity are evident in the delicate dishes on the menu. This evening you will experience the “Great Tasting Menu” composed of 14 courses. This may seem a lot, but as the Chef puts it “We would destroy the spirit of these dishes if we served them in very large portions. I only conceive the following dishes in small portions, with the brevity of 3 or 4 mouthfuls.” Without a doubt this is a lifetime experience. 11:00 pm After dinner, transfer back to the hotel and your last night in San Sebastian. Breakfast at the hotel and then transfer to either San Sebastian, Biarritz, or Bordeaux airports.